One Family Revitalizes A Small Town With, Yes, Quilts After launching a quilt company as a desperation move, Jenny Doan and her two savvy kids have shaken up an ancient industry in downtown Hamilton, Mo., thanks in part to popular folksy video tutorials. 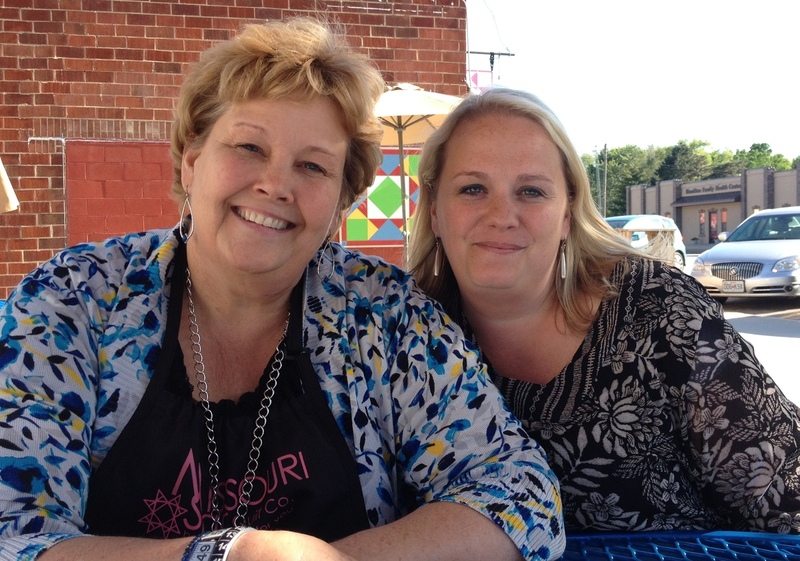 Jenny Doan sits with her daughter Sarah Galbraith, who co-founded Missouri Star Quilt Co., outside two of the new restaurants the company bankrolled in downtown Hamilton, Mo. 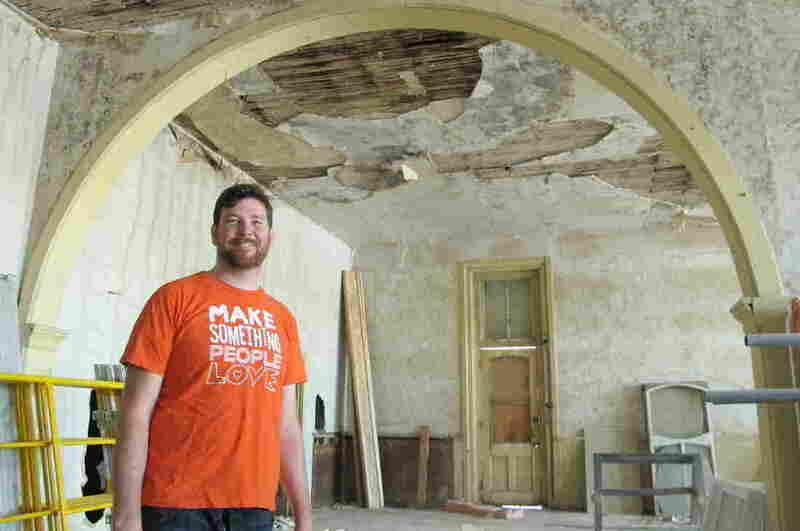 Just a few years ago, downtown Hamilton, Mo., looked a lot like a thousand other forgotten, rural towns. Abandoned, forlorn buildings marred the main drag. But in recent years, an explosively fast-growing startup business in rural north western Missouri has shaken up a staid industry, producing a YouTube star and revitalizing a town with a proud retail history. Della Badger drove here from Victorville, Calif.
"I just looked on my map and asked Siri, 'How do I get to Hamilton, Mo.?' " she says. "But, it was my dream to get here and see Jenny." "It's some crazy thing like that," Doan says, laughing. "I can't hardly use the bathroom in a restaurant without somebody saying, 'I love your tutorials!' "
Jenny Doan's DIY quilt tutorials have drawn more than 50 million views. She says women from around the world visit Hamilton, or write to thank her for getting them into quilting. He says the recession cost his folks most of their savings, and threatened to take their house. Jenny says, "Alan came to me and said, 'Mom, are you interested in doing tutorials?' I said, 'Sure honey, what's a tutorial?' I mean, I had no idea. I had never been on YouTube.' "
"This one's going to Australia," Lloyd says. "Isn't that neat?" Success has pushed the company into publishing, even food service. They're renovating more buildings and by midsummer they plan to double the number of quilt shops in Hamilton, and even add a "man's land" to give their customers' husbands something to do. 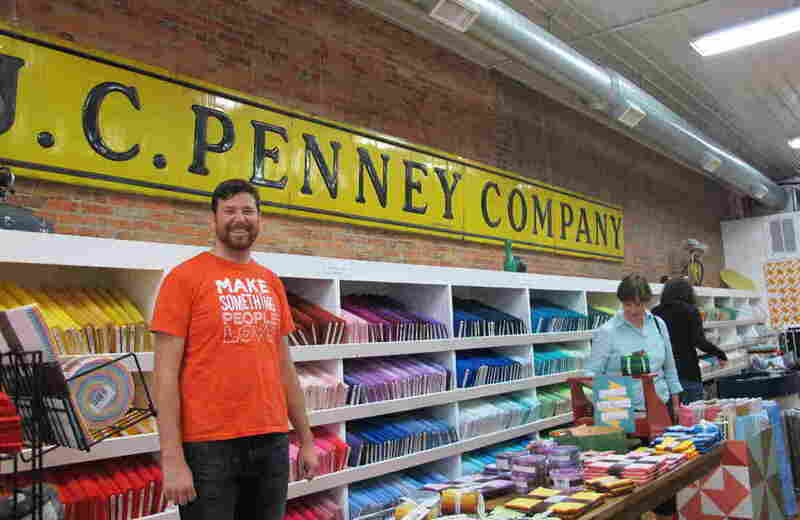 Alan Doan likes the fact that Missouri Star Quilt Co. is following in the footsteps of fellow Hamilton native J.C. Penney, but Doan's never been into an actual J.C. Penney store. James Cash Penney Jr. landed his first sales job here almost 120 years ago. Penney left Hamilton as a teenager, but came back years later and opened his 500th J.C. Penney store here. An earlier version of this story misspelled the last name of James Cash Penney Jr., who founded J.C. Penney.